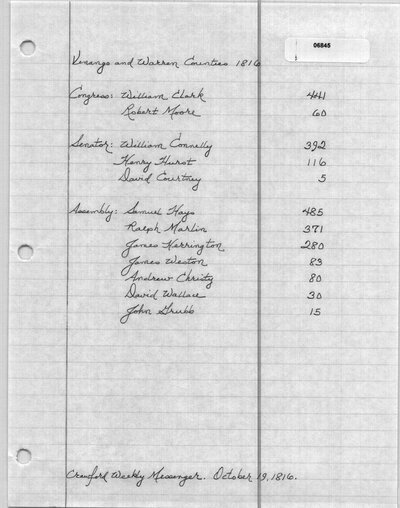 Several sources lists Robert Moore with 1717 total votes. This is due to a problem with six of the votes cast in Erie County, which have been included here. 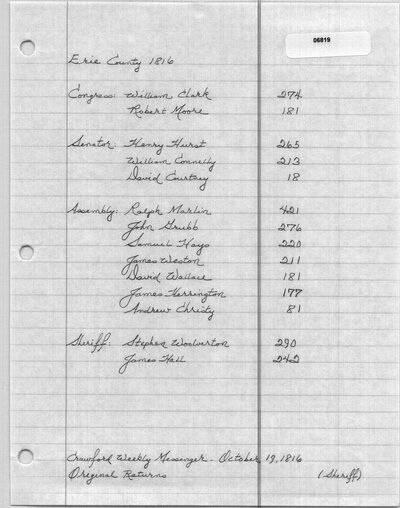 Because of the discrepancy in the vote total at the time of the vote, the returns from Erie County were not returned to the election judges by the previously determined deadline. Therefore, for this district the judges signed a return without any votes recorded for Erie County. 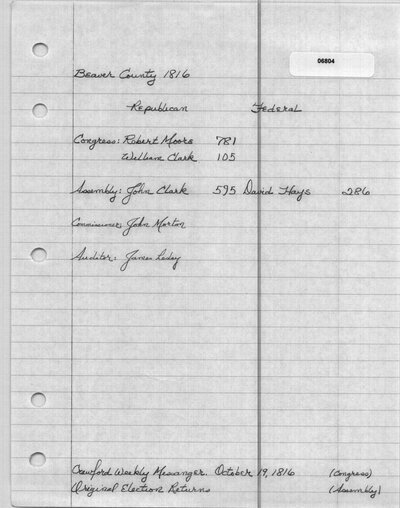 In Erie County, 181 votes were cast for "Robert Moore of Beaver" while an additional 6 votes were cast for "Robert Moore." 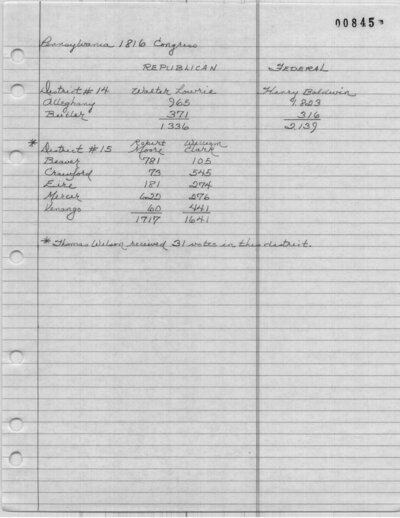 All 187 of these votes were intended for the same candidate. 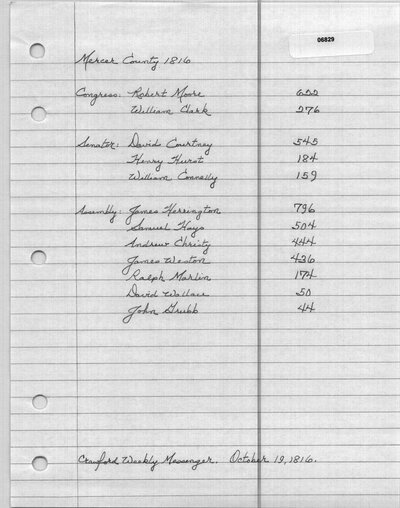 The votes cast in Warren County are included in the Venango County election returns. The Crawford Weekly Messenger (Meadville, PA). October 12, 1816. The Crawford Weekly Messenger (Meadville, PA). October 19, 1816. The Reporter (Washington, PA). October 21, 1816.